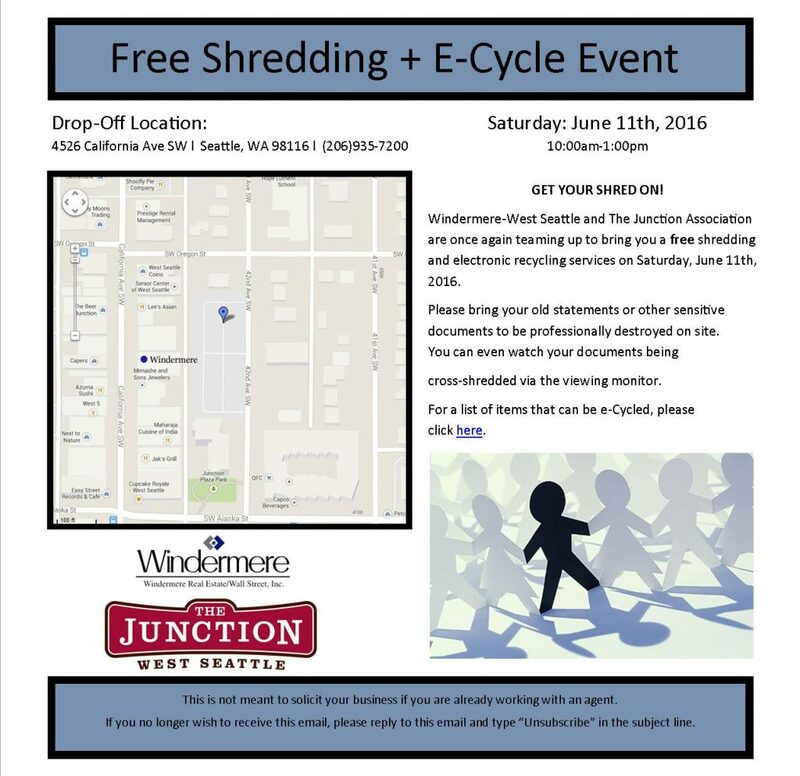 The West Seattle Junction Association and Windermere-West Seattle are once again teaming up to bring you our annual FREE Shredding Event. We’ll be offering shredding and electronic recycling services to the community tomorrow, Saturday, June 11. Please bring your old statements or other sensitive documents to be professionally destroyed on site. You can even watch your documents being cross-shredded via the viewing monitor. For a list of items that can be e-Cycled, please click here.